A lot of people think that you should water your lawn a lot of times a week to make it look lavishly green. When in reality it is better to give it a deep watering so that your roots are getting what it needs. 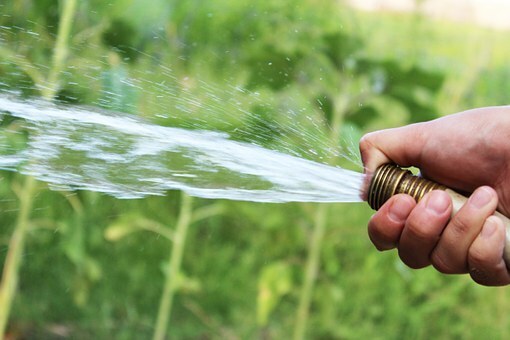 In this post, we will uncover a way to help you to stop overwatering your lawn. We will accomplish this by introducing you to a helpful product. When people water their lawns on a daily basis, they tend to really only water the surface. If you really think about it, we know that water evaporates. This means your lawn is not really being quenched the way the way it should so that it will benefit your lawn. Because you are only watering the surface, the heat will evaporate it and steal the moisture from the bed of your lawn. This will only result in short root growth which means your grass will not flourish like it could. 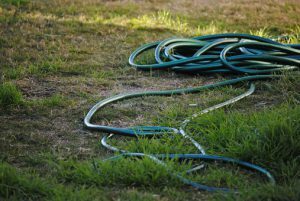 Deep watering your lawn is more beneficial for a couple of reasons. If we think about it, your soil will hold the water in deep which will cause a slower rate of evaporation. This means the roots of your grass is being supplied a sufficient amount of moisture which will result in longer root growth producing stronger & healthier blades for a beautiful lawn. Well, this is truly a tricky accomplishment by using your own judgment of how much water is enough. 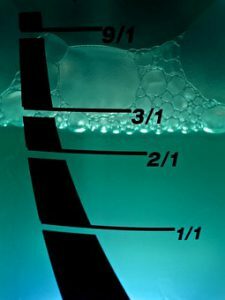 It is said that 1 to 1 1/2 inches of water per week is what is sufficient. But can we accurately pull that off? You can, it is tedious but it can be accomplished. Some people have watering systems which are better than trying to water with a hand sprayer. Getting a watering system could be worth it. With that being said, I want to introduce you to a way that takes a lot of figuring & time off your hands as well as water your lawn more precisely than you could ever do by using your own judgment. The item is a smart sprinkler. The Rachio Smart Controller is the highest rated best-selling sprinkler controller and comes with high recommendations for many reasons. You can easily operate the system via smartphone, tablet or laptop. It is not called smart for no reason. The system is so advanced it actually adapts for the weather through local forecast & changing seasons by automatically optimizing watering schedules. You can connect this system to your smart home platform if you have one, which will extend your smart home to your yard. This highly advanced system uses advanced watering algorithms & proven irrigation science to give you customized schedules that are tailored to fit your yard. You will save time & money because you can reduce your water usage by 50%. It also is EPA Water Sense certified making it eligible for rebate options up to 100% of retail cost. I am not going to technically bombard you with a lot of words. Below is a video that will give you a great overview of this product. So now that you see how this product could be a great value to you, Click Here for 8 zones of coverage area or Click Here for 16 zones of the coverage area to give your yard what it deserves. If you are totally into a smart home Click Here to see another smart home product that will compliment this item. I hope this information was valuable to you and will help you with your lawn. 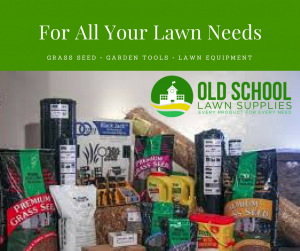 Please feel free to look at all your lawn needs here at Old School Lawn Supplies and leave any questions or comments in the comments section below. When I ran the garden and lawn dept at our local hospital I was always looking to find a more efficient control system. There was always something going wrong with ours. I think there are many of people who faced that problem Chappy with their system. Maybe because it is simply outdated and worn. I try to supply information on the newest and most popular items available. I hope this helps someone out there who might be experiencing some problems with their systems. Excellent review. The review prior to the video is the perfect introduction for what the video speaks on. Good work. Thank you, Maurice. I hope that the information I provide gives a good clear explanation of a product. Very informative post thanks. I tend to struggle with my lawn as the soil is clay-like and very dense. Becuase of this, I struggle to get the water to penetrate. After a few minutes of watering the water just starts to create puddles. Is there a way I can get the water to actually penetrate into the hard soil? What I would propose to you is to aerate your lawn. This will allow your soil to get water deep into it. It is possible your soil could be compacted. Thanks Ronnie. Great and useful info. Didn’t know I was doing the wrong thing all along. The smart sprinkler controller is the way to go. It truly is if you really are not aware of what to do to give your lawn what it needs. It takes a lot of the guessing out of the equation. Plus if you really don’t have the time to adequately water your lawn the way it should be, this product will take on the responsibility for you. I had no idea that things had progressed this far in lawn watering! Your recommended product takes the guess work out of watering! Yes, Clyde. This product does make it easy to give your lawn the proper watering without you having to guess if you are doing the right things in watering your lawn. Another set and forget it product that is a good thing to have.